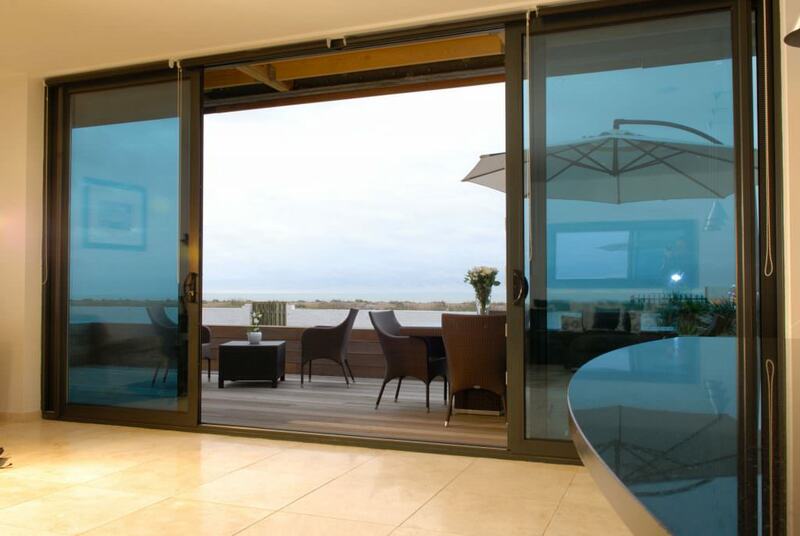 Aluminium doors are the up and coming revolution in the double glazing industry. They are precision engineered for incredible performance and outstanding style. These stunning double glazed doors come in a range of styles, which means you can create a beautiful entrance anywhere in any property. At Sternfenster, we fabricate our aluminium doors to the highest standards using state of the art profiles for maximum quality and performance. We make it easy for you to enhance your home with cutting-edge home improvements. Our exquisite aluminium residential doors are a wonderful option for a wide variety of properties. They come in a vast selection of panel designs and are tailored to reflect the unique choices of the homeowner. These doors are incredibly stylish, creating a welcoming entrance to any property, which combined with the incredible performance technology, ensures they are a leading double glazed door across the UK. One of our most popular products is the aluminium French door which offers incredible European flair combined with a modern style and finish. These doors are so versatile, enabling you to make the most of balconies, terraces and gardens with ease. 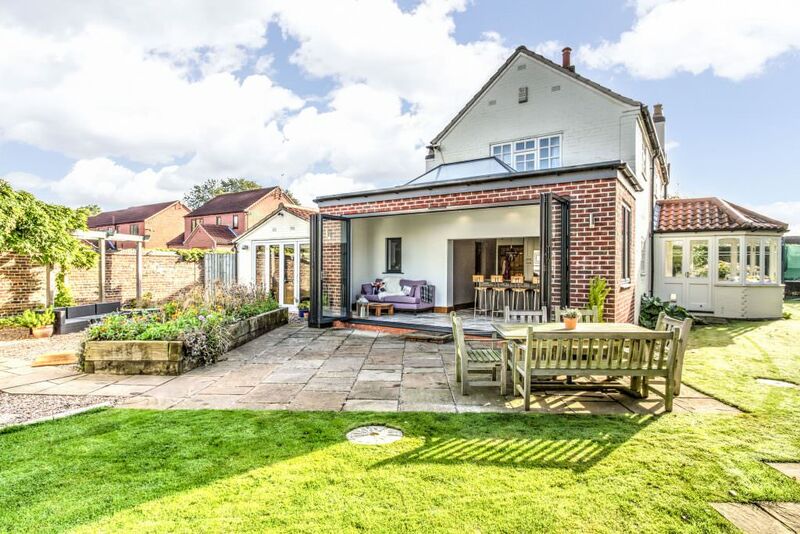 They offer seamless access to the outdoors, and a charming feature which will enhance the character of any property. 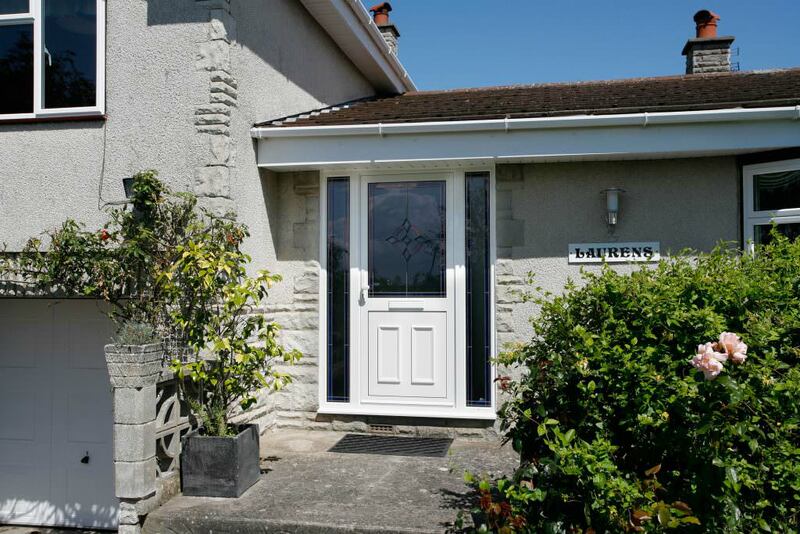 Perfect for enjoying the British summer weather come rain or shine, these doors will offer you more. 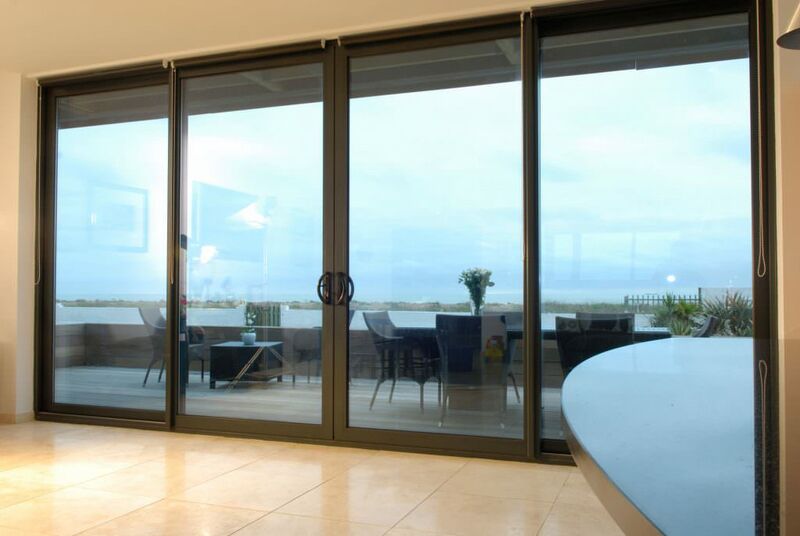 These timeless sliding doors are brought into the modern age with the quality performance that only aluminium can offer. They are precision engineered to provide smooth, long term operation and they feature the latest innovations in technology to ensure ultimate security performance. Aluminium patio doors are a great choice for any style of architecture, as they blend in seamlessly with the surroundings and they complement the character of all kinds of UK homes. No matter whether your home is modern or traditional, we can help. 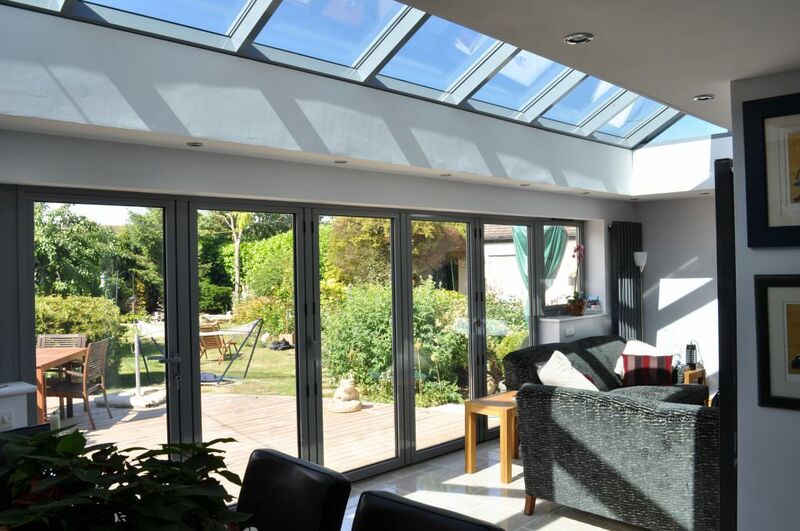 Aluminium bi-folding doors are the must-have home improvements for many UK homeowners, as they offer a spectacular feature and unrivalled performance. They are manufactured using premium materials and cutting-edge manufacturing techniques to guarantee quality. These doors glide back to within mere inches of the wall opening up the property to the outdoors and creating a stunning vast living space. They are ideal for contemporary living and social gatherings, and they create an impressive visual impact. Aluminium is one of the most hardwearing materials for double glazing, and it can withstand many years in direct contact with the British weather. Aluminium doors are able to last for decades, ensuring maximum cost effectiveness, and they never rot, warp or fade. Aluminium is a natural material and it has the inherent qualities of strength and beauty, which enables it to result in slimline profiles, creating stylish doors that offer generous glazing areas and increase natural light allowance. Aluminium doors offer the exclusive combination of exquisite style and outstanding performance, making them a great choice for any home improvements. They offer modern standards of thermal efficiency, security and durability. Wherever you are in the UK, security is a priority when it comes to replacing the doors in your property. Keeping out unwanted visitors really is an essential criteria, and you can be sure that with aluminium doors from Sternfenster, you will be able to enjoy the confidence of this tough material. Aluminium doors offer an impressive degree of home security, so they naturally offer excellent security. We then couple this with the very best locking mechanisms for ultimate protection for your property. With these doors in place, any home will be safe and secure, protecting the residents and the property inside. These doors are truly unrivalled in the industry when it comes to security performance. Aluminium was once considered inferior to uPVC when it came to thermal performance, but thanks to the latest innovations in double glazing, our aluminium doors are simply outstanding when it comes to keeping your home warm. We work with the cutting edge profiles from Smarts Architectural Aluminium which have been precision engineered to perform to the highest standards. They have a polyamide thermal barrier which minimises heat loss and eliminates cold transfer. Our aluminium doors are exceptional, achieving and exceeding the specifications set for energy efficiency in Building Regulations. This is great for creating a cost effective home improvements, as less heating will be required to ensure your home remains warm. If you are a homeowner, Part M compliant doors may not mean anything to you, but it is one of the requirements for creating a truly accessible home. It means that the doors are easily accessible for wheelchair users, and comes under the Building Regulations specifications. Our aluminium doors come with a range of threshold options, including a Part M compliant choice, which makes them ideal for complete accessibility for all. They provide seamless entry to the outdoors for smooth transition and access. 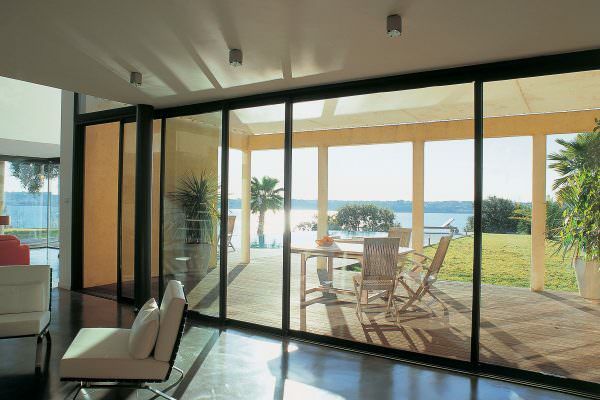 Aluminium doors are one of the most stylish options for homeowners to choose. They are tailored in every possible way to complement the architecture and style of the building, from the size to the configuration and even to the colour finish. Our aluminium doors can be finished in any one of a wide variety of colour options, adding that element of personality to the installations. This is ideal for a tailored designs and expressing individuality within your home improvements. We craft our aluminium doors to meet your every specification, so you can be confident that you will benefit from absolute perfection and unique style from your new installation. It’s never been easier for you to bring a new addition to your home that is sure to satisfy. 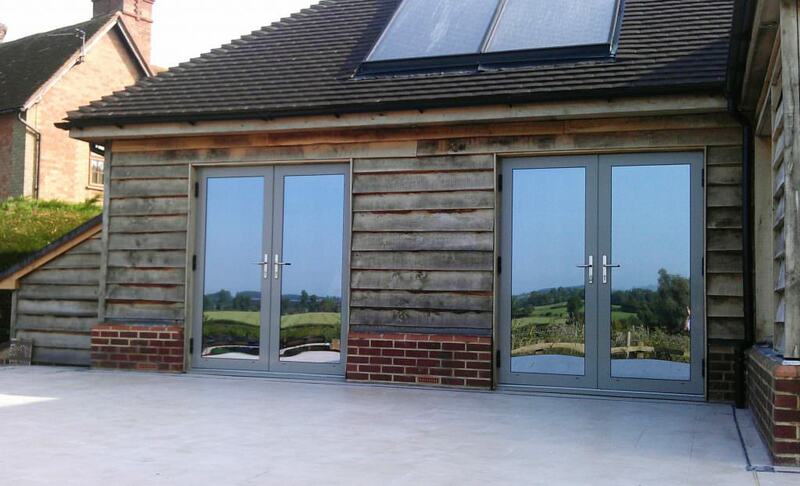 Aluminium doors are a great choice for busy homeowners, as they are exceptionally low maintenance. Even the complex hardware is tucked away within the profile to keep it safe from harm. Keeping aluminium doors in optimum condition, both for performance and for appearance, is as simple as washing them down once in awhile. There is no need for costly and time consuming maintenance as these doors will never warp, rot or fade, giving decades of quality operation. Our British made aluminium doors are priced fairly and as such, offer fantastic value for money. We work with a number of approved installers throughout the UK to ensure wherever you are, you can find a tradesman who offers our incredible products. Find an installer near you with our online system. If you are a double glazing installer and you are looking to get your aluminium doors from the superb range we offer, then get in touch and talk to our team.